Many a times, you might be required to mail an MS office word file. To do so, you must be equipped with the right knowledge regarding how to email a word file. There are two ways of mailing a file and we will discuss both of them here. Feel free to use either of the method as both will serve the same purpose. The difference between the two methods is essentially that one requires you to open your email account while using the other method you could mail the document from MS office word file itself. Log on to your email account from which you want to send a word file to another user. 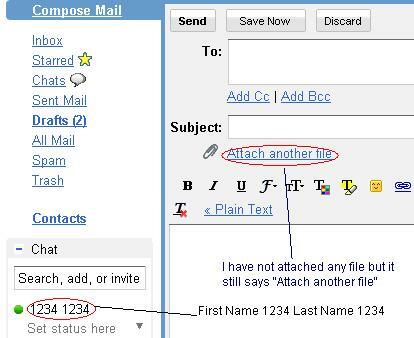 Open compose mail and click the option “attach a file”. This is the screenshot that shows the “Attach a file” option for uploading the document. A dialog box opens wherein you are requested to move to the right location in your hard disk where your document is stored. Double click on the document and it shall be uploaded in your message. Hit “Send” and the MS office word file is successfully emailed to the desired recipient. Obviously, ensure that you have filled in the name of the recipient while you were composing the message. Hence, this was one way of emailing the MS office word file. The other method is explained below. If you want to email your word file without the hassles of logging to your account, composing mail and attaching, you have another alternative as well. Open the MS office word file that you wish to email. Click the MS office word button. Move over to the “Send” option in the list of options provided after clicking the MS office button. There are various options that you would find on clicking send, select the first option which is Email. As you can see, there are other email options as well. However, for emailing the word file, simply select the first option. If you wish to email as PDF or XPS, you have options for the same as well. 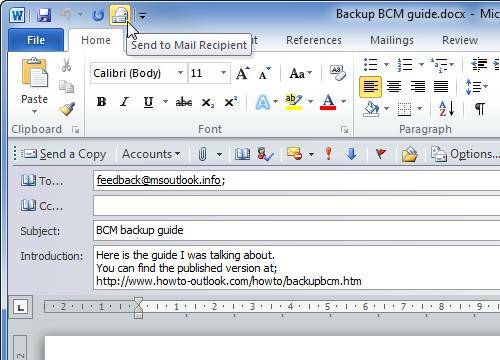 After you have clicked the option Email, a new window for emailing the document opens. This is the window that opens for emailing the document. Enter the name of the recipient which is asked. You can alter the subject content and add text in the body as well. Hit send which is provided in the leftmost corner. The email is sent to the desired recipient. Thus, you can use any one of the above two methods for emailing your word file to someone. Words file are generally mailed extensively over the net so that people can share information. Use the process once or twice to get adjusted to it. This is one of the simple operations provided by MS office word. You should experience no problem in emailing the file. Try it right now. Re consult the tutorial if you experience any difficulty.